Hunterdon County farmer Susan Blew gets a kick out of telling young people who want to get into farming: “The only path into farming successfully in New Jersey is the womb, groom, or the tomb.” It’s funny but too true at the same time – the cost of land is a huge barrier to entry for those starting out in our state. Despite this hurdle, entrepreneurs still choose to give Jersey farming a shot. Advising them is what makes extension work rewarding. For example, Theresa Viggiano and Patrick Leger, owners of First Field, are beginning farmers who have turned their sweat equity into an enterprise to be proud of – their Jersey Ketchup and Jersey Relish products are sold in NJ, NY, and Connecticut. Recently, I was contacted by a father whose son is returning to New Jersey to farm with his fiance. They have experience working for the past 4 years on a large organic farm CSA in the West that grew from a 35 customer base to over 300. It’s encouraging to see family willingness to help with a grubstake; invest in the young couples’ venture. The father is a professional and “has some capital and can’t think of a more rewarding investment” than his son’s dream. 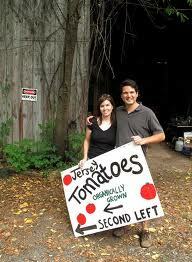 Their questions revolve around how a beginning farmer gets started in New Jersey. Q: What’s the best way to go about looking for appropriate farmland for sale or lease? Is there a database maintained for this? A: Despite the fact that NJ has the highest average “farmland price per acre with invested improvements” in the US, urban fringe farm parcels have become so valuable, or preserved, that owners have difficulty finding people interested in leasing their farmland in order to maintain their farmland tax assessment (FTA). There are private and public parcels going unused with potential bargain lease arrangements all over NJ, when compared with the high sale price of the land and what the capitalized rental values ought to fetch. Quite an irony, and potential opportunity. The problem for the typical beginning farmer becomes one of fair long-term lease arrangements, which solidly protect the young farmer, sometimes organic, who spends years improving soil productivity, only to lose a parcel lease. This is a recognized problem and one that my colleagues at NJAES and I have been in consultation with farmers, Farm Bureau, as well as the NJ Department of Agriculture SADC. We may be seeing some movement on this with the funding of model lease options being prepared through NOFA-NJ’s 2011 USDA BFRDP Grant. High priced NJ farmland may be a good speculative investment, but it is sometimes a mediocre or risky agricultural investment when a young beginning farmer ends up over investing capital in land assets, rather than production and marketing equipment. For example, investment in moveable high tunnels and labor saving technologies are a better investment than land. Yet, ultimately, farmers need their own land because their interests in long-term soil productivity improvement are not the same speculative owners. 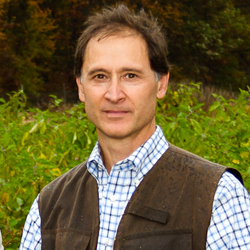 Explore the Farm Link Program, maintained by Dave Kimmel at NJDA SADC, that matches farmland owners with young farmers. Ask for local expertise. There are individual farmers recognized in New Jersey for their support of beginning farmers. The prospective beginning farmer seeks out these farmers and consults with them about land opportunities in their local areas. One of the most important reasons to follow this path is that soil quality and reliable yield potential vary immensely, more than a beginning farmer could ever imagine. Frequently, farmland parcels available through published real estate offers are not reliable money makers. From the road, a field looks like a field. Only intimate local knowledge can advise about production history. For example, potato grower Bob Reed once called me in the middle of a rainstorm telling me to put on my boots and go with him to look at a farm he was interested in buying. A hard downpour is the only time to judge drainage across fields. Successful farmers in an area know the land and tend to be generous with their experiences. The Northeast Organic Farming Association NJ (NOFA-NJ) has recently moved its operations to the Duke Estate. They are interested in leasing parcels and fostering incubator and mentor farming arrangements with beginning farmers. Their USDA BFRDP Grant funds implementation. Duke Farms desires to assist this effort, possibly by lending a hand for things like primary tillage, which is usually a cost/horsepower limiting factor for new smaller farms. 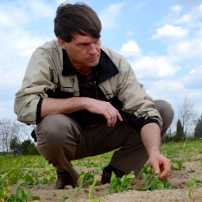 Too often, the lack of primary tillage equipment, consigns many beginning small farms (among other reasons) to be non-economically viable commercial market gardens. Or it consigns small operators to adopt various strategies like permaculture, which are beneficial, but too frequently so labor intensive that they limit farm viability. Assistance with primary tillage helps a beginning farmer use initial years’ revenues to acquire production equipment and high tunnels instead of horsepower. Q: We are thinking of starting off in the 3 to 5 acre range of intensive vegetable production with some small-scale poultry production as a basis for a small CSA along with restaurant relationships (RSA). Long-term goals include a farm camp experience for children based around a well-rounded environmental, science, and nutritional curriculum. Is this feasible? A: I would strongly encourage you to think bigger and longer term for a successful urban fringe NJ farm. In NJ, the average pre-tax net farm income reported by farmers runs about 10% of sales. Alternative farmers tell me they can achieve higher profit margins on sales with high tunnels, CSAs, specialty items, farm camps for youth, etc. And certainly farmers trade cash livelihood income for lifestyle. But, the lifestyle-livelihood trade still has measurable cash value. The average pre-tax income is a REAL and good place to begin one’s farm business planning. Start with a good business plan. Included on our Rutgers NJAES Agritourism Website are the online business plan design tools AgPlan from Univ of MN and INVenture from Purdue. I like AgPlan, but people have individual user preferences, so go exploring and start developing a business and marketing plan. Either tool is better than no tool. If a modest farm youth camp with 12-14 youth for x-weeks, times $2,000 each generates say, $30,000 annual gross, and two large (30×100′) high tunnels gross $10,000 each, and slowly ramping up to 3-5 acres generate another $20,000 to $35,000, you can explore in a business plan whether expressing a vision this way is viable. Even that takes some time to execute. Yes, it’s viable for initial years when operators are part-time holding off farm supplemental employment, but you need to set the goal posts, and they need to be big, high, and have a high revenue figure. Yes, NJ enjoys an abundance of highly educated prosperous customers interested in healthy fresh local food, but this is balanced against NJ being an expensive state to live in and operate a farm enterprise. For commercial small-scale poultry, I advise that you investigate county and local municipal health department rules on “residential livestock” in NJ. Many municipalities have prohibitive ordinances preventing or restricting commercial-scale poultry stocking densities. A lot of people with commercial-scale moveable roost “chicken tractors” locate in more rural NJ areas. What I do know, from growing up on a farm & coming through the 1979-1985 farm crisis that gave rise to alternative farming movement, is that debt is the enemy of sustaining an urban fringe farm. You can’t build up a farm enterprise by overlaying debt (time-certain financial obligations) on an uncertain biological system! We had between 56 and 90 inches of rain this year across our state – disastrous for farms. In early years, all farmers are part-time, using outside sources of income while they build up the farm enterprise and save more “grubstake capital.” This is necessary, but also limits the number of hours per week farming and selling. It takes a number of years to make the leap. It is keeping your eye on the long-term vision that is important. If you operate smart for a number of years, build up cash capital, a land ownership opportunity will present itself. So, start on a few acres, but keep a long term vision that the enterprise has to be larger by the time you are 40-45.